By 1914, A Shropshire Lad was selling upwards of 10,000 copies a year, and it went to war in the packs of many literary-minded soldiers. (Housman commented wryly on this phenomenon: “The advertisement to which I am always looking forward: a soldier is to receive a bullet in the breast, and it is to be turned aside from his heart by a copy of A Shropshire Lad which he is carrying there. Hitherto it is only the Bible that has performed this trick.”) On the Western Front, Housman’s doomed lads and English nostalgia spoke powerfully to young soldiers, and Parker traces the echoes of his poems in the work of war poets such as Edward Thomas and Rupert Brooke. 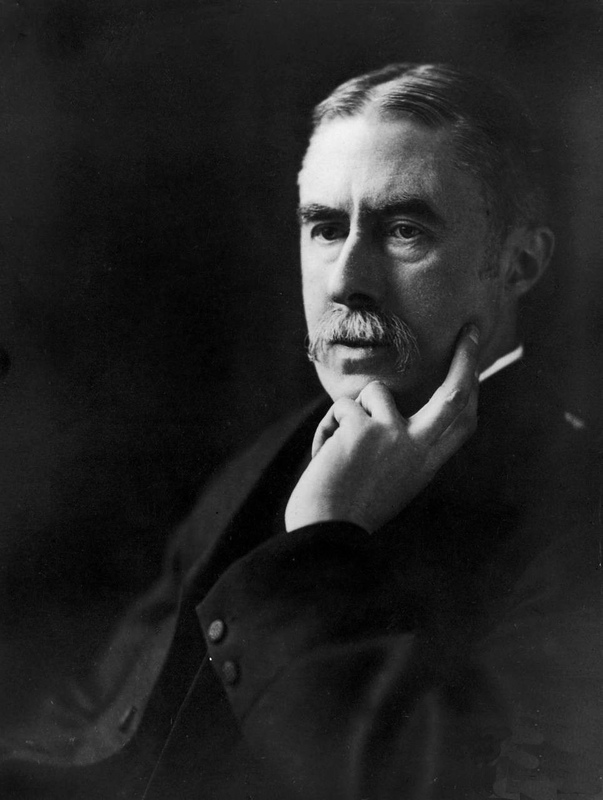 Later, Housman’s poems would be set to music by a wide range of English composers; the glum rocker Morrissey was a natural fan. Thanks to Coco Éclair, who alerted me to this review.